Aisling was not the only Irish woman added to lists. The Adelaide Crows, Greater Western Sydney Giants and Collingwood each rookie-listed talented Irish players. Ailish Considine was nabbed by the Adelaide Crows – their first international signing. 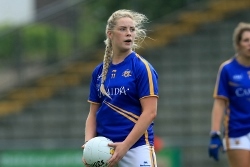 Considine has a Gaelic football background and played in the AFL Ireland competition with the West Clare waves club. Yvonne Bonner is a full-forward prospect from Donegal and recruited to the Greater Western Sydney Giants. She has a chance to link up with fellow Irish talent, Cora Staunton at the Giants. Both Considine and Bonner came through the Cross-Code program. Collingwood rookie, Sarah Rowe, also comes from County Mayo and is from a Gaelic football background. Sarah did not participate in the Cross-Code program as such and was rookie-listed separately. The addition of four Irish women to AFLW lists certainly enhances the message that players from across all corners of the world can find their way onto AFLW lists. Last weekend saw major international competitions in Europe (Euro Cup - Ireland), Asia (Asian Championships – Malaysia) and North America (the USAFL Nationals – Wisconsin), each featuring women’s tournaments and showcasing the best women’s talent worldwide. The message would have already reached those women that the next possible step in their careers might be the AFLW.